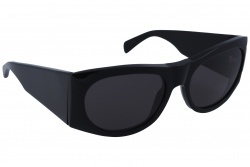 Céline sunglasses are a reference in the sector thanks to their great quality and comfort in their products. The brand’s non-conventional shapes and big sizes are some of their distinctive signs. Furthermore, the frames are created with thick acetate with soft edges, well defined lines and little details as their characteristic points. Nevertheless, the brand achieves the perfect combination between vintage style and timeless elegance that emphasizes the beauty of women. A clear example of this is the model Céline Shadow. Also, another models as Audrey and Marta are among the best sellers for its elegance and sophistication. Céline launches its new sunglasses catalogue for this spring-summer 2018. Also, the brand offers new proposals that will be a trend this year. 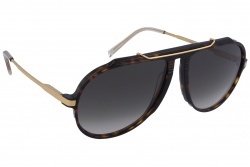 Classic models as aviator, round, butterfly or cat-eye are standing out this spring. When talking about colours this season, the dark ones are still the trend. Colours as black and brown stand out from the rest. The models that will stand out this summer will be rectangular, big sized and mask shaped. In this case the colours of this season are more striking with tones as red, blue and yellow. Anyway, we will also see models from other seasons as 41026, 41398 and 41411. If you are looking for a store where you can buy Céline sunglasses at best price, Optical H is your shop! We have the best models at best price. 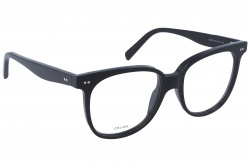 Our professional team will assess you at any moment during the purchase, so you can choose the Céline glasses that adapt best to your taste and style. This brand was founded by the Vispiana’s in 1945, when they opened a shoe store for kids in Paris. Over the years Céline expanded and started to commercialize both in clothes and accessories. In 2008 Phoebe Philo entered the brand as new director. Since then, Céline achieved that its designs stand out in the fashion world. One of the most famous celebrities that are very keen of the brand is Kim Kardashian, who has been seen wearing different models of the brand. Also, in the year 2015, the writer Joan Didion was the protagonist of Céline’s spring-summer campaign.